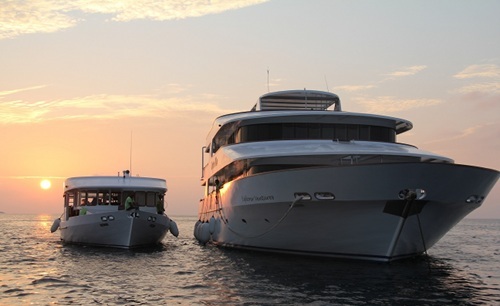 We have the last remaining cabins on a Maldives charter on the Carpe Vita, our favourite ship in the Maldives. First class all the way…! This charter is 11 nights from February 28 to March 10, 2016. 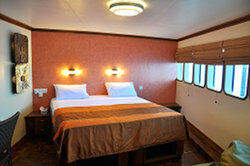 Rates on this trip: Main Deck Cabin = $4,549 and Lower Deck = $4,329 USD per person. Fuel surcharge $100 per person, Green Tax $66 per person, Nitrox $200 per person. This itinerary requires a one-way domestic flight from Addu (GAN) at the end of the trip at an approximate cost of $260 per person. This unique 11 night trip will be starting from Male and end all the way past the equator in Addu. 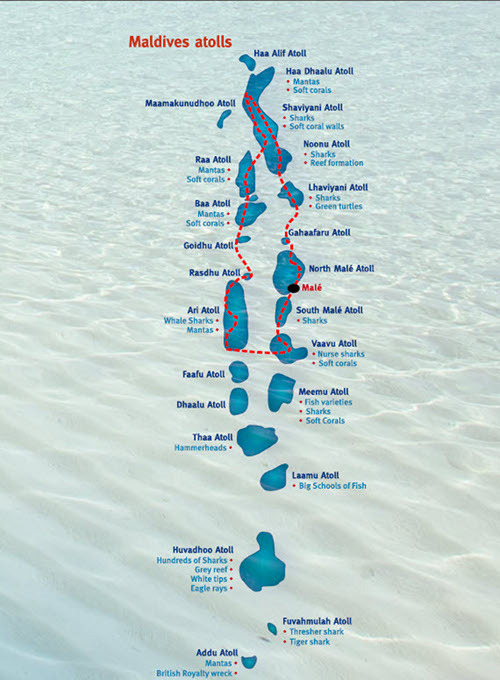 On this 11 night trip South Ari atoll is added. Guests will require a domestic flight back after the trip from Gan (Addu) to Male airport or from Male to Addu to join the trip. The routing is suitable for experienced divers only due to the currents and number of channel dives involved. The routing is focussed on seeing lots of sharks including possible thresher and tiger sharks, hammerheads, whale sharks and mantas plus the possibility of seeing the rare Mola molas (sunfish). The map below gives a tentative overview of the routing, but will be weather depending. Because of the distance that needs to be covered this trip will only provide 3 dives a day instead of the package of 4 normally offered on the Carpe Vita. The Carpe Vita meaning “Seize Life” was built in the Maldives by Amir Mansoor and started operations in 2011. The charters cater to a maximum of 20 divers with 10 cabins on 3 decks thus providing more space than her sister ship, the Carpe Diem. Join us on an 11-night new route and itinerary for the Carpe Vita December 30, 2015 to January 10, 2016. 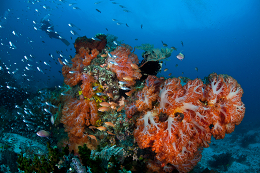 This fantastic liveaboard will take you to some new and seldom visited reefs and as yet unexplored dive sites. Explorer Ventures has come up with a unique routing that nobody else is doing yet, starting and ending in Male to avoid domestic flights needed. However due to the additional distance covered there will be an increased fuel surcharge. Because of the distance we need to cover, the minimum amount of nights needed to do this trip is 11 nights or more. These will be the first trips conducted by us to the far North and even though a lot of sites are known to us there will be some exciting exploration of new sites during the trip as well. The trip will take the guests away from other boat traffic, meaning you will be the only boat on most of the dive sites the further North we go. The North is characterized by beautiful reef formations and abundance of fish life. The trip will have some great shark life as well as manta cleaning station sites and an exciting site with friendly green turtles. 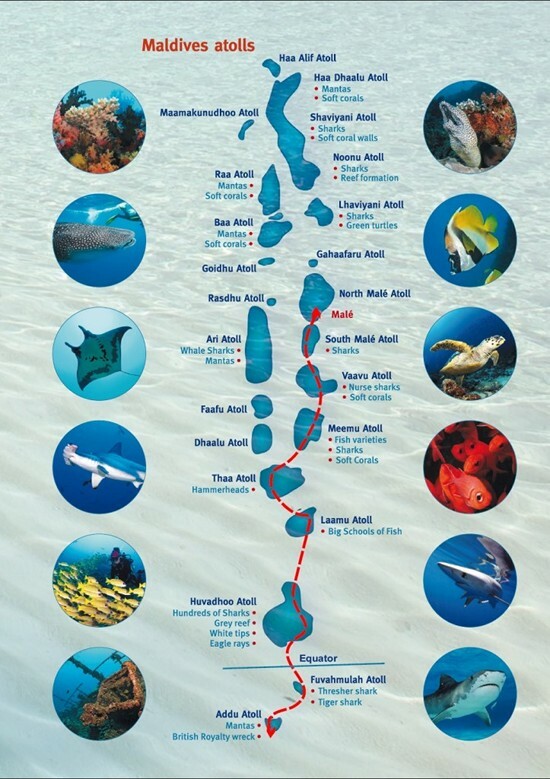 By adding Ari atoll and Vaavu atoll at the end you will still have a chance to see the whale shark and do the famous manta and whale shark night dives but more boat traffic there to be expected. The trip will only be able to offer 3 dives a day. Planned trip route is shown on a map below. This package includes: 11 nights lower deck accommodations aboard the vessel; 3 meals daily, plus between-dive snacks; 3 dives daily (except for on day of arrival and day before departure) including one or two night dives; use of tanks, weights and belts; non alcoholic beverages and 2 glasses or beer or wine with dinner; airport transfers on the days of embarkation/disembarkation; GST 12%. 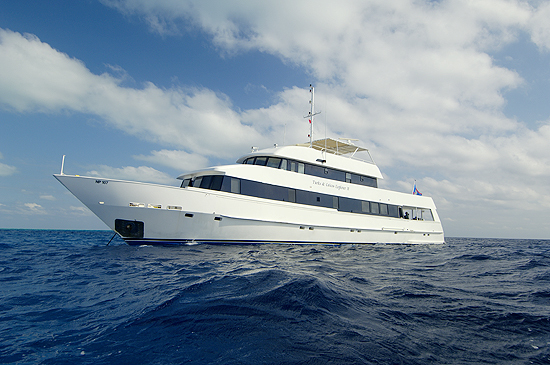 Join us on a small group charter to the Turks & Caicos on the fin-tastic Turks & Caicos Explorer II Liveaboard. We have only 2 remaining cabins on this charter. We have Main Deck cabins reserved and these are normally $2395 per person. Now save $200 per person at the price of $2195 per person. Twin or queen bed, desk and chair, dresser, hanging closet, wardrobe, large window(s), private ensuite bathroom and shower. Not included: Port fee $85 and fuel surcharge $125. Join us on the Arenui, Indonesia's finest liveaboard for a charter that will take us through Komodo and Alor for some of the finest diving found in the Flores Seas. 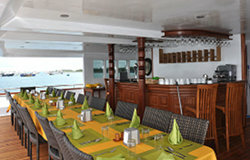 The Arenui features a crew of 22 ready to serve you on this fantastic charter. 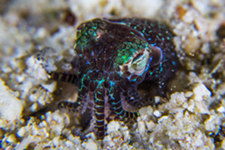 And a fantastic bonus on this charter will be the photographic talents of underwater professional Liz Rogers. Liz will be conducting evening seminars on improving your underwater photos and skills that will result in professional quality images. 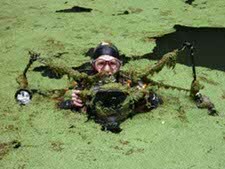 Liz Rogers is an underwater and cave diving photographer and explorer, who regularly travels to remote areas where serious dedication is required to get the shot. Part of the thrill of visiting rarely seen areas is the opportunity to share the experience with others - both in person and with pictures. 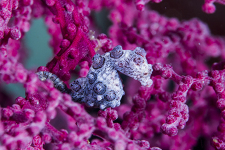 Liz has brought back images that have been published in both the diving and mainstream press, and placed in major international photography competitions. She writes regularly on her website, explaining the backstory to her images each week. Liz is looking forward to sharing some great diving and photographic adventures aboard the luxurious Arenui as we cruise through the waters of Komodo and the Flores Seas. Komodo's dive sites stretch from the warm waters of the Flores Sea in the north to the chillier waters down south in the Indian Ocean. The underwater terrain presents many contrasts, with sheer cliff walls, pinnacles, sandy flat bottoms, underwater plateaus, slopes, caves, swim-throughs and channels - all with differing colours, sizes and types of both hard and soft corals. General information: Currents can be strong; dive depths 5-30 meters; number of dive sites, 53; seas are generally calm; visibility 10-40 meters; water temperature 22-28 degrees C; suitable for intermediate to advanced divers. 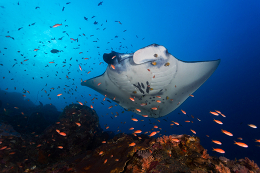 As well as being one of the best kept secrets for diving in paradise, including rare finds like the beautiful rhinopias but also plenty of pelagic action, this area boasts stunning topside scenery and impressive volcanoes. Cruises in Alor and Flores offer widespread muck diving, sharks and large schools of fish, WWII wreck dives, untouched reefs and unexplored coral gardens, magnificent soft corals and stunning hard coral formations. We also visit the famous Pura Island villagers, who splash out of their wooden dugout canoes and dive underwater with home-made goggles fashioned from wood and glass bottles. General information: Currents can be gentle to strong; dive depths 10-30 meters; number of dive sites, 47; seas are generally calm; visibility 10-40 meters; water temperature 2-29 degrees C; suitable for intermediate to advanced divers. Some of the incredible dive sites we will visit include Serbete Reef and Adonara Island, Tanjung Waiwowan,Suangi Island and Lamalera, Beang Abang, Tanjung Kanang, Pura Island, Sabolan, Tatawa Besar, Tatawa Kecil, Crystal Rock, Castle Rock and many others. Expect to experience reef shallows with ribbon eels and nudibranches; ledges and walls with white tip reef sharks and rhinopias; reef sandy slopes with blue ring octopus and bamboo sharks; sea mounts and crevices with bumphead parrot fish and sea turtles; pelagic sites with dramatic drop-offs with passing whales and Mola Mola; black sand beachfronts with muck dives revealing sea horses, frogfish, and rhinopias; and sites like Anemone City where there is the largest field of sea anemones in the world. Form the macro to the magnificent, you will fill your camera memory card with memories. INCLUSIONS: Full board accommodations, shore excursions according to itinerary, soft drinks, water, tea, coffee, 5 meals a day, up to 4 dives per day, tanks, weights, weight belts, transfers to embarkation/disembarkation airport, welcome massage. EXCLUSIONS: International and domestic air fares, hotels and meals before and after cruise, alcoholic beverages, espresso, dive equipment rental, spa treatments, onboard purchases, travel insurance, private tours, crew gratuities.